News and info related to every occurrence of invest area 90L during the 2012 hurricane season. I have posted an update based on the overnight runs of the GFS and the ECMWF models. Here, I take a look at what seems like pretty good agreement with the potential track of this system but the intensity is a different story. The GFS is considerably weaker than the ECMWF and I am not sure why. I will post another video discussion later this afternoon once the morning model guidance becomes available for analysis. Also note that the NHC has increased the probablity of development to 90% both in the short term (48h) and long term (120h). 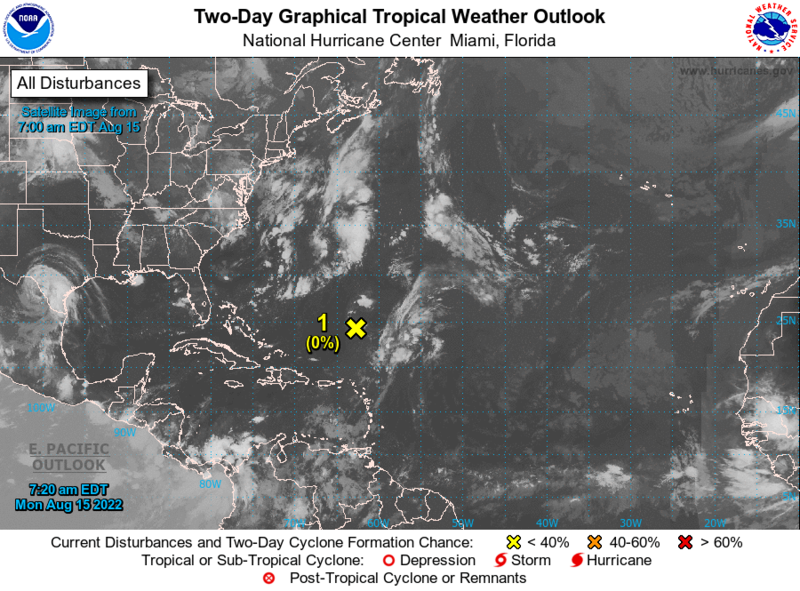 NHC two-day tropical weather outlook map showing invest area 90L in the northwest Caribbean Sea along the coast of the Yucatan peninsula. The model guidance trended a little stronger during the overnight hours last night in regards to the eventual strength of invest area 90L. This means there is a pretty solid chance now that we will see either hybrid type storm (subtropical storm) or a purely tropical storm – in either case, a lot of rain and some coastal impacts are likely for portions of the Gulf Coast from Louisiana to the west coast of Florida. As of this morning, the NHC indicates a 40% chance of 90L becoming at least depression-strength over the next 48 hours. If we look to the next five days, those odds increase to 80%. From the looks of things, we very well may have another out-of-season named storm to deal with. The timing is not good for obvious reasons as the unofficial start to summer begins this weekend and Memorial Day Monday. Unfortunately, 90L and what ever it evolves in to over the coming days will put a big damper on things for a lot of people. Right now, it is too soon to pinpoint precisely what locations will receive any impacts from this system. I think we will have to wait until later tomorrow when the model guidance suggests we get a developed low pressure area more consolidated in the southern Gulf of Mexico. At that point, the idea of what impacts and which locations will receive those impacts will become more clear. What we know right now is that excessive rain is headed for a good portion of the eastern Gulf Coast region from southeast Louisiana over to the Florida panhandle and peninsula. This will also extend inland over parts of the Southeast as the low moves north and eventually inland early next week. I cannot emphasize it enough: the potential for flooding, life-threatening rain is on the table and this needs to be taken extremely seriously. It is impossible to predict which locations will receive the highest rain totals so everyone in the region should be monitoring the progress of this developing situation. I will produce a video discussion concerning this system later on this afternoon and will go over the various computer models and what the most likely scenarios are. For now, we wait and see as the broad area of low pressure moves slowly along the Yucatan in the northwest Caribbean Sea, spreading showers and thunderstorms along the area. Invest area 90L, which is tucked away in the northwest Caribbean Sea, just off the coast of Belize, is keeping a lot of people guessing as to what its eventual outcome will be. This is fairly typical of late May or early June tropical systems, especially in the Gulf of Mexico – which is where this system is headed. NHC says development chances are now at 60% over the next five days. This means we could see a subtropical or purely tropical depression form before all is said and done. What ever it is classified as, it will have some negative impacts on Memorial Day weekend plans, including travel on the busy I-10 corridor and elsewhere. Right now, the low pressure area is broad, diffuse and void of any solid thunderstorm activity. Dry air in the mid-levels plus strong upper level winds are keeping things in check for the time being. 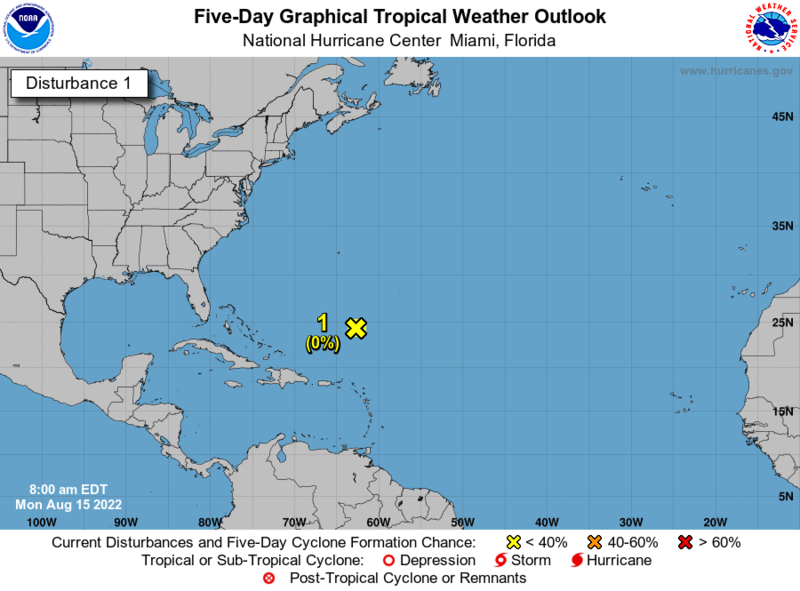 As we head in to the weekend, the NHC mentions the fact that conditions are forecast to become more conducive for slow development and this is when we may see more organization of the system – perhaps enough so that it is classified as a depression. The subtropical label means it has a mix of mid-latitude storm features, a spread out wind field and a much broader area of overall impacts. On the other hand, a purely tropical depression or storm has a more compact wind and pressure field, tighter overall banding features and a smaller geographic footprint so to speak; in short, it’s more concentrated. The label won’t matter – I am sure you have heard this a lot about this system already. It’s true – we name weather systems to give us clarity and a way to keep up with everything. The end result is what really matters and for 90L, and/or what ever it ends up being called, that means rain and a lot of it. WPC’s 7 day precipitation map showing a huge area of potentially very heavy rain as the low pressure area takes shape in the Gulf of Mexico. I have again posted the Weather Prediction Center’s 7 days precip forecast and it shows the potential for widespread heavy rain across a good deal of the Southeast, including all of Florida. Now, this does not mean that this map will verify as depicted, it is a guidance tool to indicate the potential for heavy rain across the region as the low pressure area moves slowly north towards the central Gulf Coast. If you have plans to travel across the I-10 corridor this weekend, please pay close attention to local weather info and radar updates. Driving at 60-75 mph in torrential downpours can be hazardous to your health – take it from someone who has been in more rain than most people will ever see! Slow down, leave early and take this seriously. Rain is a hazard, even if it’s not causing major flooding like Harvey did last August. For areas that receive sustained onshore flow, the possibility of large wave action and some minor to perhaps moderate coastal flooding will present challenges as well. We will have to watch this potential problem closely as we get further along in time and the low pressure area develops (or not) more. I suspect that some coastal flood watches will be posted at some point over the coming days. The wind won’t be too much of an issue overall but consider this: if we get gusts to 45-50 mph in any heavier downpours or thunderstorms, plus the saturated ground, well then, you can imagine the trees with their newly dense leaf system could be toppled in some cases. Obviously, we need to wait and see how strong the low gets but be aware that power outages due to downed trees may be a problem where the wind gusts are high enough to lay some trees over. So the bottom line is this: we have a real mess on our hands for a very busy weekend ahead. Millions of people will be hitting the road in anticipation of the start of summer. This low pressure system, what ever it ends up being called, will be an issue to contend with. Understanding the totality of the potential impacts is important so I encourage anyone with interests along the Gulf Coast and in to the Southeast to keep up with the latest as we move towards the weekend. I will post a detailed video discussion later this afternoon and will go over the most updated computer guidance as well as focus on what impacts to expect. NHC 5-day tropical weather outlook map showing invest area 90L and the probable area for future development. The Atlantic hurricane season does not officially begin until June 1 but once again, we have a pre-season system to keep watch of. This seems to be the norm more often than not as of recent years. I suppose Mother Nature is simply not interested in man-made schedules. As of this morning with the 8am ET special outlook message, the National Hurricane Center says that the system remains broad and loosely organized with plenty of dry air and strong upper level winds around to keep it from developing much anytime soon. There is perhaps a chance that it will become a little better organized once it moves in to the Gulf of Mexico over the next few days where water temps are only marginally favorable for development. This fact, coupled with strong upper level winds, should keep 90L from becoming much better organized once it reaches the Gulf later this week and in to the long holiday weekend ahead. 5 day precipitation forecast from the Weather Prediction Center showing a large area of potentially heavy rain for portions of Florida and the Southeast U.S. It is important to keep up with local information from the NWS and local media as this event unfolds since localized heavy rain chances will be impossible to predict more than a few hours out. The main issue with this feature, as is usually the case with early season development, will be rain and perhaps a lot of it. A large area of high moisture content in the lower levels of the atmosphere will lead to plenty of rain for portions of western Cuba, the Cayman Islands and even Florida over the next several days as the low moves slowly northward and in to the Gulf of Mexico. Some areas could receive several inches of rain which could lead to localized flooding issues, especially within areas that have seen a lot of rain in recent days. In terms of other impacts, I really do not see much of an opportunity for 90L to strengthen beyond maybe a weak tropical storm wind-wise. We may see some stronger winds eventually that could lead to onshore flow and minor coastal flooding along the Gulf Coast this weekend but the bigger issue, I believe, is going to be the rain. It is impossible to pinpoint who will receive the most rain and when it will occur. For now, we need to just monitor the progress of this rather sprawling area of low pressure and pay attention to local NWS products concerning future flood issues, etc. I will post a detailed video discussion concerning 90L later this afternoon which will include the latest morning model data. Elsewhere, things are nice and quiet and this includes the eastern Pacific as well. New video blog posted with full details covering the latest on invest area 90L in the SW Caribbean Sea.